Since we are getting our lives together this new year, why not use a cute journal to write in? 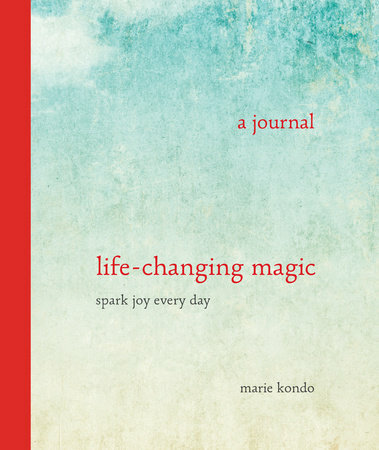 Check out this journal by Marie Kondo. Kondo has also written The Life-Changing Magic of Tidying Up, which I am about to read too. That book is always checked out at the library, so it’s a big deal folks. Anyway, this journal is pretty dope. The journal is small enough to fit into your bag or purse, but it’s full of pages for us to use for the next three years. There are many quotes throughout to remind us of having joy in our lives and being grateful. There isn’t a lot of space to write errythang, which can be a bit disappointing if you are wordy and like to write about your whole day, but what I’ve been doing is writing a sentence or two about what I’ve learned or was grateful for that day, or even write a quote that I loved and wish to keep and reread. It sure will be interesting to look back a year from now and see where my mind was at then and what progress I’ve made. It’s not a guided journal, which some might not like, but I’m cool with that since I’m usually all over the place when journaling. So, check it out if you’re looking for a new journal! This sort of sounds like the Book Of you. Have you read that? Hi, I haven’t but I will be sure to look for it!